The key to a good villanelle is to come up with two lines that are genuinely attracted to each other but also wholly independent of each other, so that their final coupling will feel both inevitable and surprising. I smiled when I read that. And before reading further, I paused to launch this blog post. 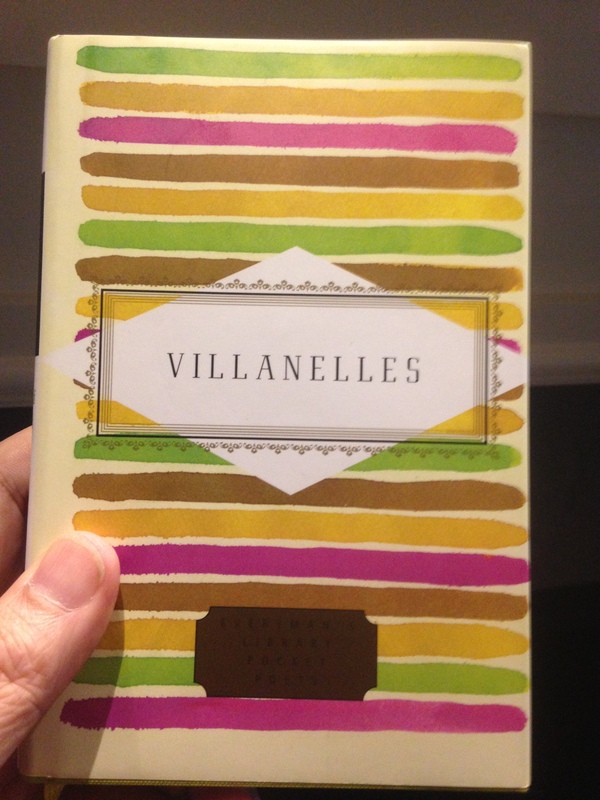 Romancing the Villanelle . . .
Because she was adept at formal verse, a friend once had her poetry scorned as “less honest” than that of someone with no discipline at all to his scribbling. Her talent with sonnets was specifically targeted for unkind mocking. As for me, I always liked how she compared the fourteen lines of a sonnet to the natural cycles of the waxing and waning moon, the patterns of rhyme to the symmetry in a flower, the volta to the turning of the wind. 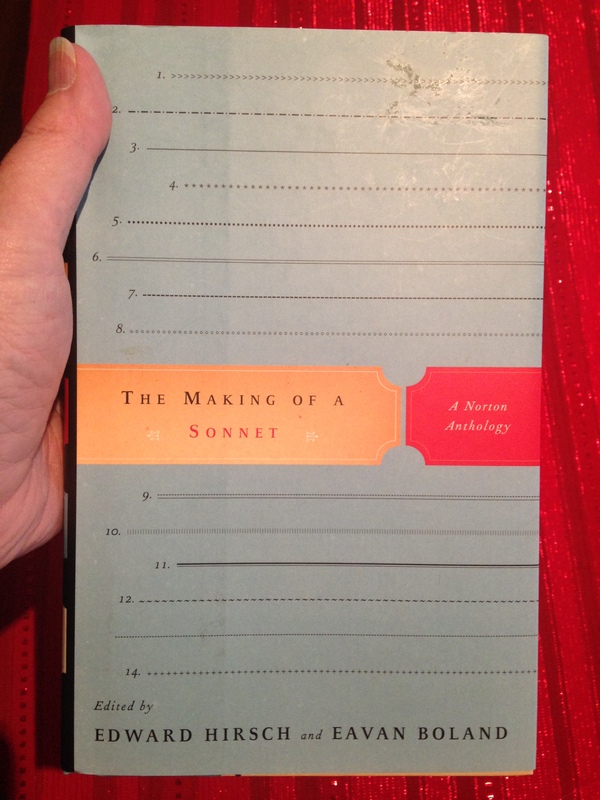 Seriously, can anyone so crudely reject the sonnet, except by being ignorant to the making of a sonnet, let alone the true making of any art? As many hundreds of sonnets as I already have in my private poetry library, and as many thousands as I have available through my local library, and as many tens of thousands as are available online, I still gladly welcome to my home shelves this new volume, courtesy of the gift card I received from Natalie for Christmas: The Making of a Sonnet, edited by Edward Hirsch and Eavan Boland. Thank you, Nat, for the Christmas gift. Although I myself don’t write sonnets, I have always appreciated the honesty in a good sonnet. This book will be read many times cover to cover. 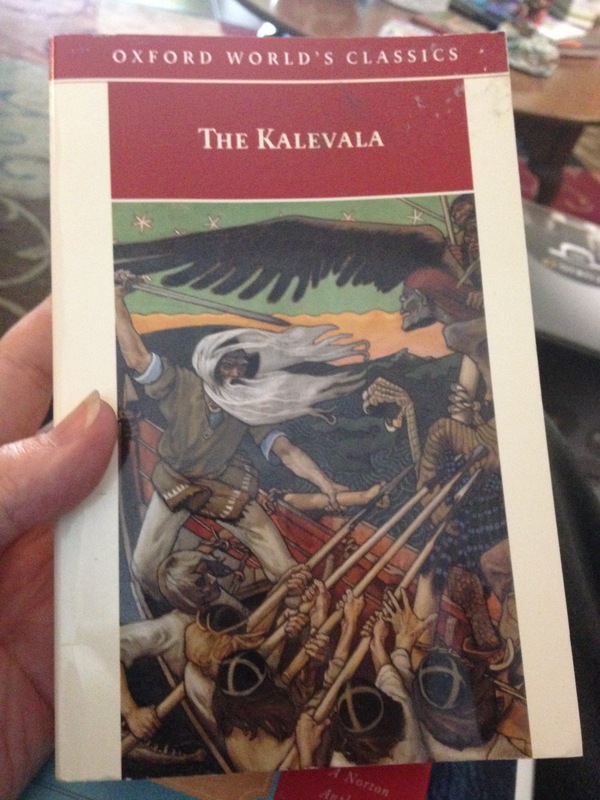 One of the books I’ve added to my private collection, courtesy of a Christmas gift card from Natalie: The Kalevala. This version translated by Keith Bosley. I’d read this several times through a long time ago, long since forgetting enough details about the translation to be able to finger whose that was. Then recently had been reading through the version by John Martin Crawford — who may have done the translation I first read — posted online at Wikisource. Which I won’t be quitting while I pick up through this offline edition added to my library — since my knowledge of Finnish isn’t (yet) sufficient to work my own way through the Elias Lönnrot original, it helps having more than one English translation on hand. Hopefully most of the time the real meaning is somewhere in between these two, or can be pretty well discerned whenever outside the edges of either. Whatever translation, this does belong in my own poetry library. One need not be authoring something as classic as Lord of the Rings to appreciate the legacy of The Kalevala to poetry and myth and spiritual heritage. Such castings as this don’t get rescinded on a passing whim. Such sampo never gets stolen or lost. Thank you, Nat, for the Christmas gift. Would This Be A Poster Child for Pica? 17It’s far from the first time when I’ve noticed a great woman poet being overlooked, but it’s still odd to find Mona Van Duyn MIA from my personal library’s copy of A Book of Women Poets from Antiquity to Now , edited by Aliki and Willis Barnstone. Like, sure she wasn’t honored as Poet Laureate Consultant in Poetry to the Library of Congress until 1992, the year of the book’s most recent publication. But come on, she had won solid recognition of her work soon enough to have been given at least a few pages, including the Pulitzer Prize for Poetry in 1991 for her 1990 book, Near Changes. How much higher must a woman poet aim to merit the kind of sincere respect and understanding for her work she can truly value . . . or if not that, at least a glance from a collector of poetry written by a woman?! Update (16 Apr 2015) — This post was originally placed in polymath as of the date given to this re-posting here at aftermath. Since then, I have added several Van Duyn books to my own personal library.